South Africans are in agreement about the kind of country they want, but also know they are not yet there. 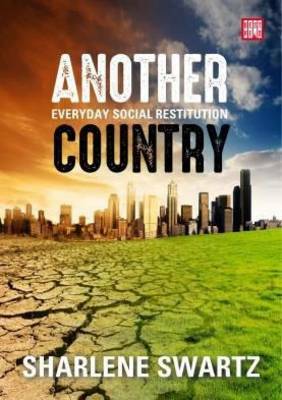 In Another Country: Everyday social restitution, author Sharlene Swartz relates Black South Africans’ experiences of dehumanising racism alongside White South African’s shame for the past and anxiety for the future. She introduces the concept of ‘social restitution’ – understood as the actions and attitudes that everyday people can undertake in dialogue with each other to ‘make things right’, and offers four new ideas about restitution based on reflection with ordinary South Africans. First, injustice damages all our humanity and continues over time; the past in the present must be understood before we can move forward. Second, we need new language beyond the labels of victims and perpetrators to talk about our role in the past including beneficiary, ostrich and resister. Third, the aim of social restitution is to restore our humanity and so should include practical, financial and symbolic acts, undertaken in dialogue across previous divides. Fourth, there is something for everyone to do – individuals and communities, alongside government and institutional efforts. This book offers stories, ideas and strong theories for how South Africa can be Another Country in our lifetime, with transferable insights for all contexts where injustice has occurred.